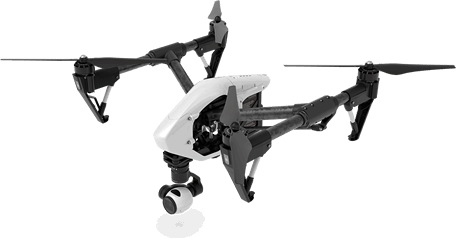 Here we provide an overview of our UK aerial drone filming prices. Our aerial drone filming prices may vary depending on the associated risks, complexity and location of the aerial drone filming or photography. Please call us or email us to discuss your requirements. Since every job request is unique and all aerial flights must be carried out in accordance with CAA rules and regulations – we always carry out a detailed pre-flight survey online, prior to sending you a final quote. We do not provide drone camera hire or drone rental, and no other company should, as all commercial flights should be undertaken by professional pilots who have undertaken the relevant flight training, and who hold insurance and public liability. Since we’re UK-based, and because of the nature of aerial filming shoots we endeavour to be very flexible when it comes to working with our clients. Jobs can be booked quite at the last minute - which is fine, however, we still require enough time to complete our pre-flight safety checks which ensures that we can undertake the job in a safe manner, and in accordance with the rules + regulations stipulated to all CAA licensed drone operators. We’re happy to pencil in jobs for clients. However, confirmed bookings will always take priory. Being flexible means that if a client has a date pencilled in, we’ll always offer them first refusal on their proposed date. Due to the industry we are in, and as a mark of commitment by you in booking our services, we require that 30% of the total booking fee is to be paid in advance of the shoot. Jobs outside of a 10 mile radius of Beverley, East Yorkshire will be billed at 45p per mile. If any accommodation is required, this cost will be agreed prior to the job and paid for by the client. Payment should be made within 14 days from the receipt of invoice (unless by prior agreement / discussion) We're happy to discuss anything in more detail and believe you'll find us reasonable, fair and transparent. We're happy to provide you a quote in writing, only once we have spoken with you to determine your requirements and have received a full brief outlining your expectations of the job. Aerial filming is affected by the flying conditions, and the weather is a known business risk in the UK, so we have to be as flexible as possible to ensure that bookings can be rearranged. If we are not able to shoot due to bad weather (i.e rain, strong winds etc) we shall not charge the client if we can make alternative arrangements for the shoot to happen at another time. The 30% booking fee is simply transferred to another day when we can shoot. If the shoot cannot be re-scheduled, we will discuss cancellation policy and potential fees with the client and come to a fair and reasonable compromise. If a job is cancelled due to other issues and simply not re-scheduled due to the client no longer requiring our services the 30% deposit will not be refunded unless by a pre-agreement and if additional costs have been incurred will also have to be met by the client. We are proud of our work and SkyVisuals actively promotes its services, however we will never publish any material we shoot until it has been officially released by the Client. However, we do reserve the right to use ANY of our footage for internal promotion, whether this be inclusion on our website, showreel, social media, or for any other PR purposes to promote SkyVisuals. If for any reason this is a problem, please speak to us in advance of commencement of filming. Thank you.